G26Raven, Tstone, Mike1956 and 22 others like this. I found the Colt Monitor part of the story interesting. 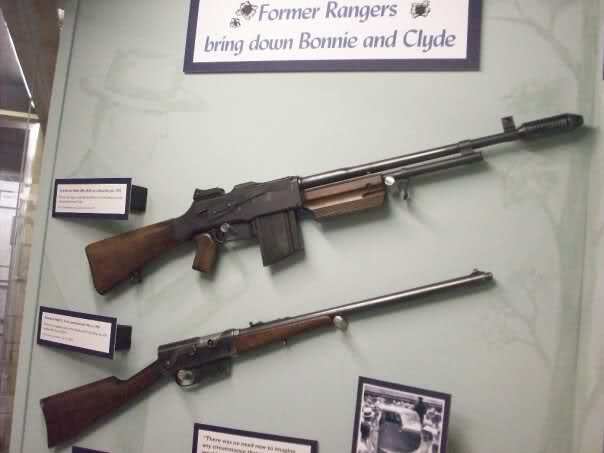 This is the actual Monitor and Remington Model 8 in .35 that Hamer used hanging today in the Texas Ranger Museum in .... Sorry, not in Austin...in WACO. Here is a photo of a BAR and below a comparison photo of the Monitor. Another website story of the Monitor. G26Raven, Mike1956, Old Man and 8 others like this. My wife and I watched it, too. We thought it was pretty good. OldChap, OD*, grouse and 1 others like this. OH Man!!!! I joined Netflix just for this and they don't have a DVD yet and I need to wait until NEXT Friday to be safe on the data usage to stream it. And hope the weather will be good so the download from my Hotspot doesn't freeze! Sometimes living in the outback has its drawbacks in this digital age, but I'll take it warts and all! OldChap, Old Man, Pete63 and 4 others like this. That pistol-grip thingie makes it an assault weapon of war. Old Man, OldChap, OD* and 7 others like this. It was a good watch....but as far as accuracy, I’m thinking more like C+....I’m sure they had key point and facts correct, but like any movie, it is mostly fiction (you would be bored otherwise). What I’m saying should not take anything away from the watchable nature of it. If is as factual as you can make something like this and far more accurate than say the untouchables. Wife and I watched The Highwaymen last night, too. We found it entertaining. I would watch it again. I just finished watching it. Good movie. This makes two Netflix made movies I enjoyed. Old Man, OldChap, OD* and 1 others like this. I watched it too, thought it was pretty good. I liked how they portrayed Bonnie as having the limp as it's historically accurate at that time. Didn't know what to think of the Bonnie "execution" style killings because I thought that witness was pretty much debunked. I think they did a good job with the ambush, especially since there's different versions out there of what exactly happened and who shot first. Overall I thought it was worth the time. OldChap, OD*, ETXhiker and 1 others like this. Well worth watching. It seemed to capture the period very well. That was a tough time when a couple of murdering bank robbers could have a fan following among the economic victims of the time. I guess ours are not the only angry times this country has experienced. Costner was good as always. I think his "Devil Ance Hatfield" was better. Old Man, Chuck R., OldChap and 1 others like this. OldChap, wmhawth, OD* and 5 others like this. OldChap and Risasi like this. Most of what we know is just popularized fiction or wishful thinking. 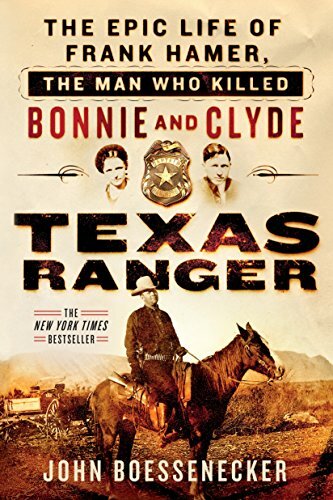 The top book is a very detailed account of Bonnie and Clyde. The lower one is a detailed account of the life of Frank Hamer. 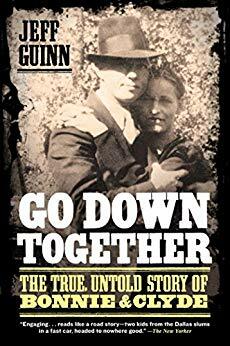 There are slight differences in the accounts of the death of Bonnie and Clyde between them, but not really a lot. Where the movie really got a poor grade were the scenes of Hamer driving between Austin and Dallas. That is not central Texas, that is West Texas. PAcanis, wmhawth, OD* and 2 others like this. Some of their foreign language ones aren't bad either, but they're not in this caliber. IMO. Cause the gun in that picture didn't exist in Hamer's day. the ex-Rangers in the movie used Colt SAAs, which I think was unrealistic given the better choices available at the time. 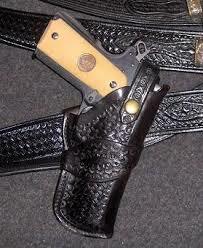 Agree, as far back as 1915, according to Zane Grey who knew and wrote about Hamer said he carried a Colt SAA low on the right side and a Colt Automatic high on the left. They found a picture of Hamer dresses as described in Zane Grey's personal belongings at the time of his death. Last edited by OD*; March 31st, 2019 at 10:24 AM. PhaedrusIV, Rock and Glock, niks and 3 others like this.